If you've decided to plan a trip to Brooklyn, there are many great romantic restaurants, pubs, bakeries and cafes to try. Choose from fresh seafood, New American cuisine, Japanese comfort food, French culinary creations, Caribbean eats, Mexican classics, and other flavors. Here are the best restaurants in Brooklyn, New York. Grand Army is a neighborhood oyster bar that serves fresh seafood-centered dishes, craft beer, and handcrafted cocktails. 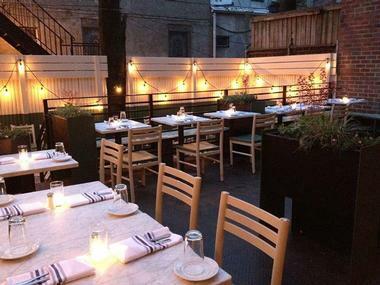 If you are looking for the best restaurants in Brooklyn for a romantic date night, this is a great place to try. 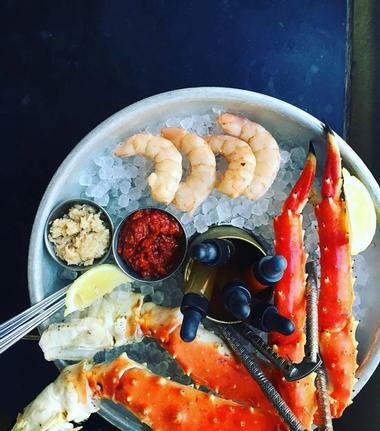 If you’re not in the mood for their incredible oysters and clams, try the Alaska King Crab Leg or the Steak Tartare. Alternatively, you can nibble on Lobster Fancy Toast at brunch. Restaurateur Noah Bernamoff opened Grand Army Bar with his partners: acclaimed Barman Damon Noelte, Rucola co-owner Julian Bizzi, and food photographer Daniel Krieger. They have brought in renowned chef Jon Bignelli to head the kitchen. 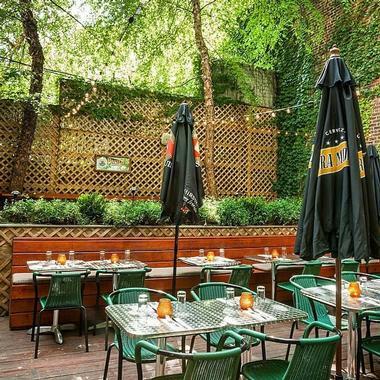 You will find Grand Army Bar on the edge of Downtown Brooklyn and Boerum Hill. 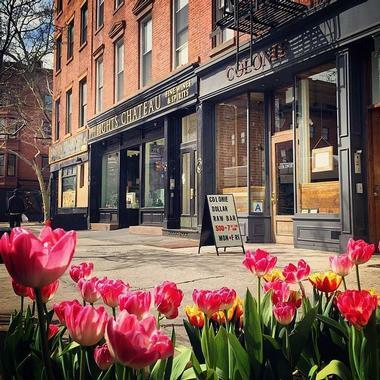 Colonie restaurant is a hip, modern eatery renowned for its modern American fare served in an intimate and relaxed setting that includes an open kitchen. Expect exquisitely prepared dishes, such as the Blistered Duck Egg (with mushrooms, rye berries, and arugula) or Chilled Squash Soup (with feta cheese and fried leaks). The brunch menu boasts delicious specialties like Duck Hash. Named after Canadian folk hero, Louis “French Louie” Seymour, French Louie is a chic bistro that serves creative French American fare in a charming, sophisticated setting. Pop in for dinner and try the Merguez Pappardelle or Lamb Blade Chop. A daily selection of oysters is available during lunch, and they also serve weekend brunches, featuring dishes like Buckwheat Crepes. 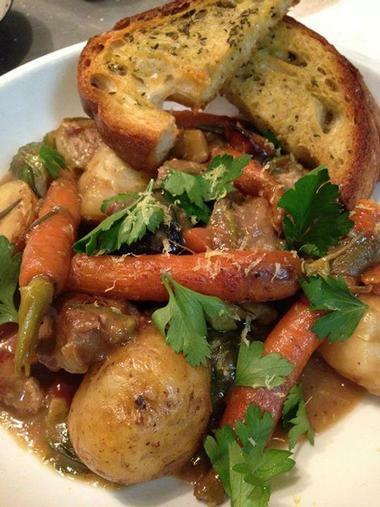 A Prix Fixe dinner is offered on Monday nights. Chef Ryan Angulo and restaurateur Doug Crowell opened French Louie together in 2014, a sister restaurant to Brooklyn’s Buttermilk Channel. You will find this romantic eatery in the Boerum Hill neighborhood. ICI French Country Kitchen is one of the best romantic restaurants in NYC and serves a taste of the South of France in a charming, intimate setting that opens into a beautiful patio. Their menu changes frequently, according to what locally-sourced, sustainably-produced ingredients are seasonally-available. The dinner might include exquisitely-prepared dishes, like Salt Roasted Beats and Sheep Milk Feta or Belle Rouge Chicken. Their brunch menu boasts treats like Thick-Cut Brioche French Toast. A nice selection of wines, beers, and handcrafted cocktails are also available. Provence-born owner, Catherine May Saillard, opened ICI in 2004, her first restaurant. 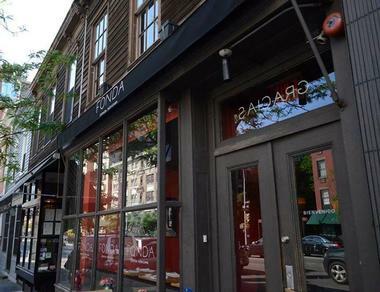 You’ll find this lovely neighborhood eatery in Brooklyn’s Forte Greene neighborhood. Glady’s is a fun restaurant and bar that serves spectacular Caribbean cuisine. Stop in and try the Jerk Chicken, Curry Goat, or Jerk Fried Wings. They are also open for weekend brunches and are known for delicious dishes like the Solomon Gundy Scramble. The restaurant also serves beer, wine, tasty alcoholic slushies, and cocktails in addition to their vast selection of rums. 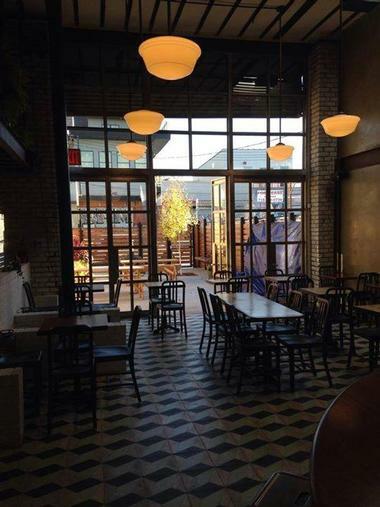 Chef Michael Jacober opened Glady’s in 2013 not long after he founded The Morris Truck. Beverage Director Shannon Mastipher offers him valuable assistance. 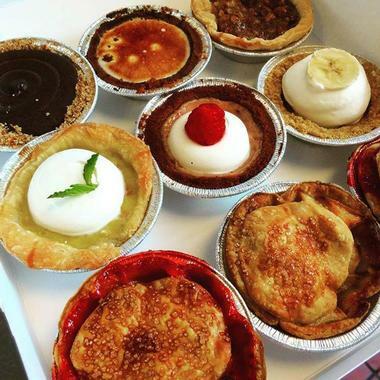 Glady’s is located not far from the northeast corner of Prospect Park. 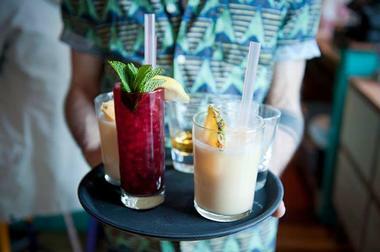 The Rookery is a fun, contemporary Brooklyn pub that serves British-West Indian-inspired foods. The gorgeous bar also has an outdoor front beer garden where you can enjoy their draft beers, creative cocktails, or a nice glass of wine. Stop in for something exotic like the Oxtail Sloppy Joe or the Curried Goat Shepard’s Pie. Or grab an Egg Sammy from their brunch menu. Owners Jamie Schmitz and Shana Belot opened The Rookery in 2014 and have brought in Executive Chef Erin Broderick to take charge of the kitchen. You’ll find this lovely neighborhood pub in Brooklyn’s Bushwick neighborhood just a block away from the Jefferson L train. Emily is one of the newest and hottest pizzerias, and here they specialize in wood-fired American pies. Try the Luca, which has buffalo mozzarella and basil, or the ¡PXG! 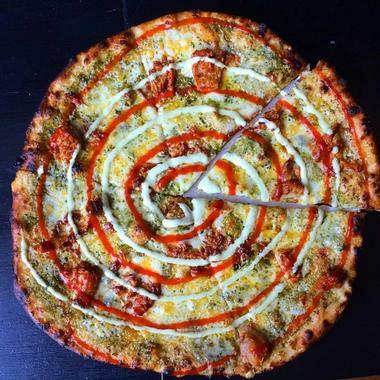 Pizza, which is made with a tasty tomatillo sauce. If you are looking for best restaurants in Brooklyn for a casual date night, this place is a must-try. Not in the mood for a pie? Try the famous Emmy Burger, made with dry aged beef on a pretzel bun! Morgan’s Barbecue is a lively, friendly, Texas-style barbecue joint. Their delicious barbecue sauces and bold flavors tantalize your taste buds with dishes like the Pulled Pork or Sliced Brisket Sandwiches or the Turkey Tails (served over collard greens with corn bread). And save room for dessert – perhaps a slice of Morgan’s Bourbon Pecan Pie? Long-time friends and co-workers Chef Joel Bolden and Texas native Chris Morgan opened Morgan’s Barbecue back in 2013. Since then, they’ve brought in Austin’s John Avila as Pit Master. You’ll find this fun neighborhood eatery in Prospect Heights. Brooklyn’s Butter & Scotch is the bar and bakery of your dreams, and it specializes in desserts, craft cocktails, and brunch. Treat yourself to the Biscuits & Gravy for brunch, or pop in later for a slice of S’mores Pie. They even have boozy shakes and floats! You can also enjoy tantalizing hot fudge sundaes. Friends and co-owners Keavy Bluher (of Kumquat Cupcakery) and Allison Kave (of First Prize Pies) opened Butter and Scotch in 2013 with passion and enthusiasm for what they were about to deliver to Brooklyn. 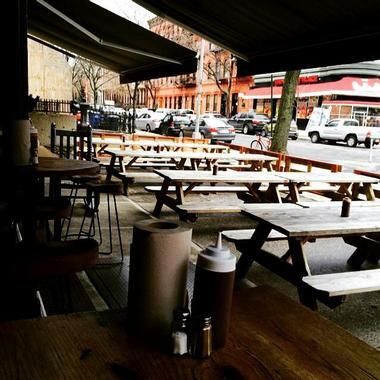 You’ll find their charming “eat-and-drinkery” in the Crown Heights neighborhood. Brooklyn’s Karczma is a traditional Polish restaurant situated in a lovely area that has a large Polish population. You won’t just have a meal when you dine here, but rather an authentic Polish experience – from the old folk music to the old Polish farmhouse décor to the waitress’s traditional folk dress, everything is reminiscent of Poland. Enjoy Polish kielbasa, Blood Sausage, Stuffed Cabbage (with tomato basil sauce), or White Borscht Soup (served in a bread bowl), while you dine in an old Polish farmhouse setting. Urzula and Slawek Letowski opened Karczma in 2007 with co-owner Krzystof Drzewiecki. You’ll find their charming eatery in Greenpoint. Brooklyn’s Gran Electrica is a Mexican restaurant with a market-driven menu that features mainly Mexican street foods. Savor spices as bold as the colors of Mexican art in dishes such as Albondigas de Juana, Ceviche, or Lengua Tacos. Stop in for brunch and try something tasty like Chorizo con Papas. 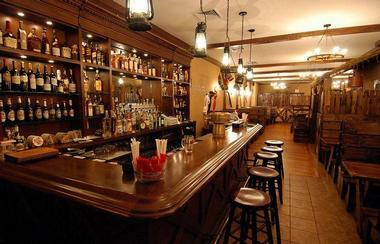 They also offer a variety of margaritas, wine, tequilas, and mescal. East Wind Snack Shop offers some of the best Chinese food available in New York City, and it resides in a charming space modeled after the old Chinatown teahouses. 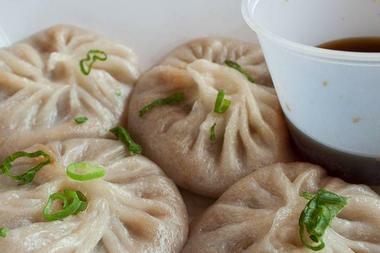 Stop in for extraordinary dishes like Pork Belly Gwa Bao “Gwacos,” Sweet Chili Ribs, or Hong Kong Hot Cakes. They also have bubble tea! Baked is a classic Americana bakery and café that has been featured on numerous television shows. Everything offered is made fresh daily, from the rich, dark brownies to the Brooksters. 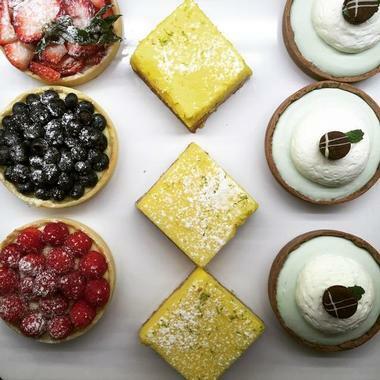 The bakery offers cakes, confections, pies, morning goods, tarts, and more, and everything is simply divine. Stop in and try a Rosemary Apricot Bar or a handmade, flavored marshmallow made from scratch. “Gentlemen Bakers” Matt Lewis and Renato Poliafito cofounded Baked. 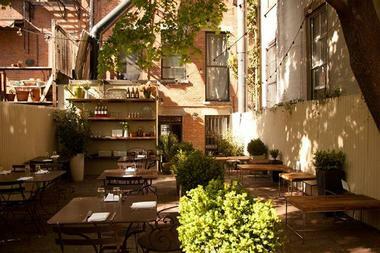 They opened the establishment in 2005, which was so successful that they have since opened a second location in Tribeca. You’ll find their original site on Van Brunt Street in Red Hook. 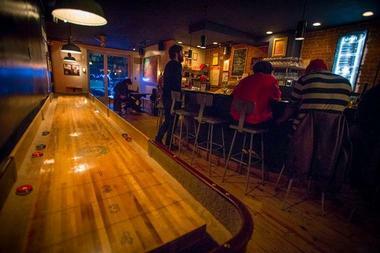 The Diamond is a colorful, fun specialty beer bar that also serves light pub fare. The vast selection of beer (including many different Belgians) and wine will simply blow you away. Enjoy a refreshing beverage and, perhaps, a quick bite to eat. Order a popular dish such as the Tuck Shop Savory Pie or a Meat & Cheese Plate. Open since 2007, The Diamond is co-owned by Dave Pollack and his New York photo editor wife Alex. Dave named the bar after the legendary “Diamond” Van Halen’s David Lee Roth. Enjoy the Van Halen tunes, incredible beer, and friendly atmosphere at The Diamond, located in Greenpoint. Owner, celebrated chef, and cookbook author Roberto Santiba?ez has been dazzling Brooklyn’s taste buds at Fonda since 2009. In fact, his restaurant has even expanded to two new locations in New York City. You’ll find the original Fonda site in Park Slope. Hometown Bar B Que is a walk-up counter-service barbeque hall that offers walk-up service on a first come, first serve basis until they sell out of that day’s specially prepared meats. Stop in for lunch and try the Jerk Baby Back Ribs, Chipotle Chicken, or Sriracha Hot Wings. Brisket, pulled pork, lamb belly, and turkey are also available by the half pound. Wash it all down with an ice-cold craft beer! Pit Master and owner Bill Durney opened Hometown with acclaimed restaurateur Christopher Miller back in 2013. 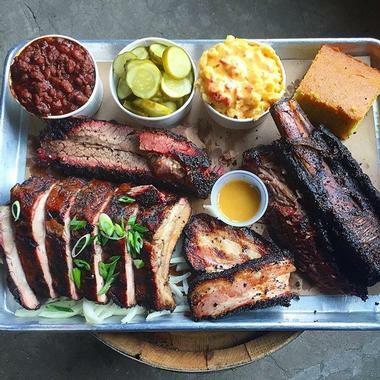 You’ll find their barbeque pit in Red Hook across the street from Fairway Market. 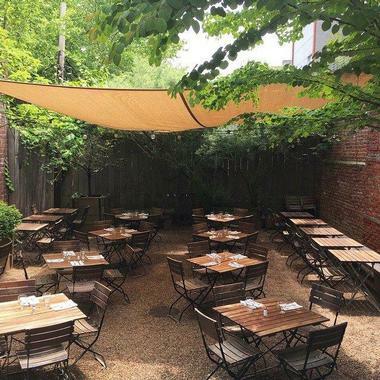 Lot 2 is a posh Brooklyn hangout where they offer a menu that changes nightly and features creative New American cuisine made from the finest, freshest ingredients. Savor incredible dishes, such as the Seared Rhode Island Scallops & Poached Wild Striped Bass or a Creekstone Farms Beef Burger with Duck Fat Potatoes. You can also come to Sunday Supper for a particularly delicious treat like the St. Louis BBQ Ribs. Beer, wine, and cocktails are also available. Co-owners Ben Jones (who owns Southside Coffee) and Chef Daniel Rojo opened Lot 2 in 2009. This awesome eatery is located on Block 886 in Greenwood Heights. 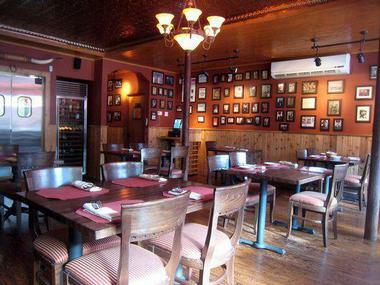 Destefano’s is one of Brooklyn’s oldest and most celebrated restaurants. This non-traditional steakhouse offers a number of exquisitely prepared dishes such as the 24-ounce Rib Eye with Sautéed Fennel or the Lamb Chops with Pistachio Nut Crust. They also serve grappa and other Italian nightcaps. Joe Donatelli and his family now run the steakhouse, which his family has owned and operated for nearly a century. The restaurant serves as a tribute to Brooklyn history and Joe’s ancestors the DeStefano family, who first opened the eatery in 1919. Enjoy the old school Italian vibe at DeStefano’s, located in the heart of the Williamsburg neighborhood. The River Café is one of Brooklyn’s most iconic restaurants, and it is known for its legendary location and award-winning, classic New American menu. The finest, freshest, and often rare ingredients are used to create spectacular dishes such as the Mushroom Wellington or Coquelet. The brunch menu boasts special treats, including the Waffle Eggs Benedict. 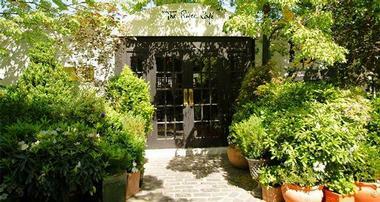 Michael Buzzy O’Keefe founded The River Café in 1977 and transformed the abandoned building into the gem it is today. Executive Chef Brad Steelman heads the kitchen. 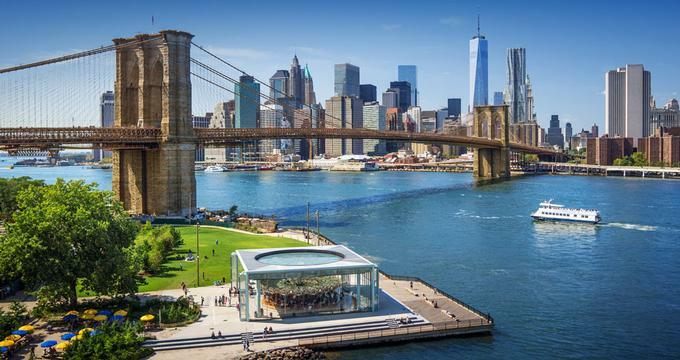 Enjoy sweeping views of the New York skyline and the Statue of Liberty as you dine underneath the gorgeous Brooklyn Bridge. Frankies Spuntino is a modern restaurant serving seasonally inspired Italian fare made with the highest quality ingredients. Stop in and try deceptively simple, absolutely scrumptious dishes like the Eggplant Parmigiano or the Sweet Potato & Sage Ravioli in a Parmesan Broth. Their brunch menu offers delectable treats like the Prosciutto Frittata. They also have an impressive wine list. Long-lost and later-reunited childhood friends Chef Frank Castronovo and Chef Frank Falcinelli opened Frankies Spuntino in 2004. Spuntino is an Italian term for an informal meal or a snack, as well as a casual Italian eatery. Find this one in Brooklyn’s Carroll Gardens.